How Would You Like to Play Today? Could Somebody Please Just Tell Me Where to Go to Play Ultimate? It’s like nagivating a poorly-written choose-your-own-adventure book. And on every other page is an illustration of a different set of jerseys. 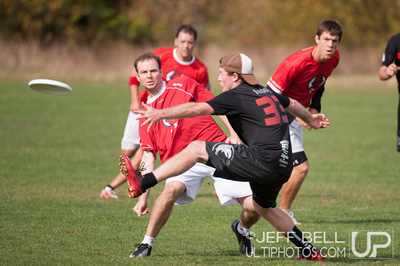 I am leafing through e-mails and solicitations concerning various semi-professional, amateur, and community-owned models of ultimate in 2013. I groan over the myriad choices, overlapping schedules and requirements in front of a co-worker. He has heard me mumble about ultimate and sports administration woes before. “Find out who’s offering the most money, and just go with them!” he says. There’s undeniably some candid wisdom behind that. But it is not quite so simple, I explain. Even if money was a sure thing, it’s not about money. For an assuredly obsessive player, it’s about how and where you’d most like to compete. Really, the choices come down to voting for something with your time and feeling like it’s time well spent.